It annoys me when I’m told Karate is only for this and that purpose. Karate’s spectrum is very broad. It is up to the individual to determine the reason(s) for their training regime. As a student you should seek instruction and guidance accordingly, as an instructor you should clearly state your aims, objectives and ethos and work towards that goal. You need to acknowledge any change of direction or purpose. This requires total honesty. Honesty is very difficult, it effects ego, induces fear, finances and can be hurtful to yourself and others around you. To over-come any of these obstacles requires courage and commitment. You have to be honest about why you train and / or teach. However, you do not have to justify everything you do in Karate. For example, it is OK to practice Kata just because you enjoy it. It is not necessary to know the Bunkai or even understand all of the techniques. It may be you find other reasons for practicing Kata, i.e. as an aid to fitness, self expression, development of Karate technique, self control, mental discipline or solo training. These are all valid reasons for practicing Kata or Kihon but you have to be honest with yourself or students to be able to achieve any benefit requiring intention, intensity, commitment and analysis. We often do these things as part of a grading syllabus with no reason other than obtaining a grade with no objective or functionality. 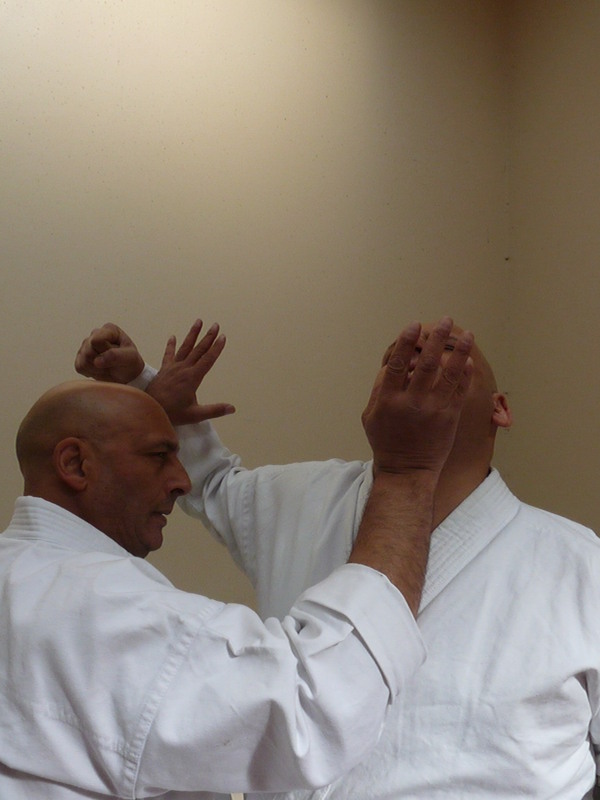 Kata Bunkai and Kumite require a different type of honesty because there is an interaction of two or more people. All parties should have a clear understanding of the aims and objectives contained within the Bunkai or drill. If the drill or Bunkai is taught or practised for self defence, it has to be valid, viable, effective and fit for purpose. Sometimes we practice or teach a drill / Bunkai that would not work in reality; however it can still have value. It can enhance a skill base on many levels, i.e. timing, distancing and learning to control an opponent through destabilisation, disruption, distortion, targeting and weapon selection. It can also be good fun. I myself love a clever take- down, throw or lock. You may not be able to make it work for real but it is great fun in the Dojo. You just have to admit it to yourself or your students. Any Karate skill you have in one aspect can be transferable, i.e. if you practice Sport Karate some of your skill can be transferred to self defence or visa-versa, you just need the right approach and understanding. You need to constantly question yourself and your instructor. Believe nothing that you do not have proof and evidence for or have fully tested it. HONESTY WILL GIVE YOU FREEDOM. If you practice Karate, Kata should play a large part in your training. You should never change Solo Kata, Solo Kata should change you. However, when it comes to Bunkai, I think Kata gives you many options. That can mean you don’t have to follow the sequence of the Kata. 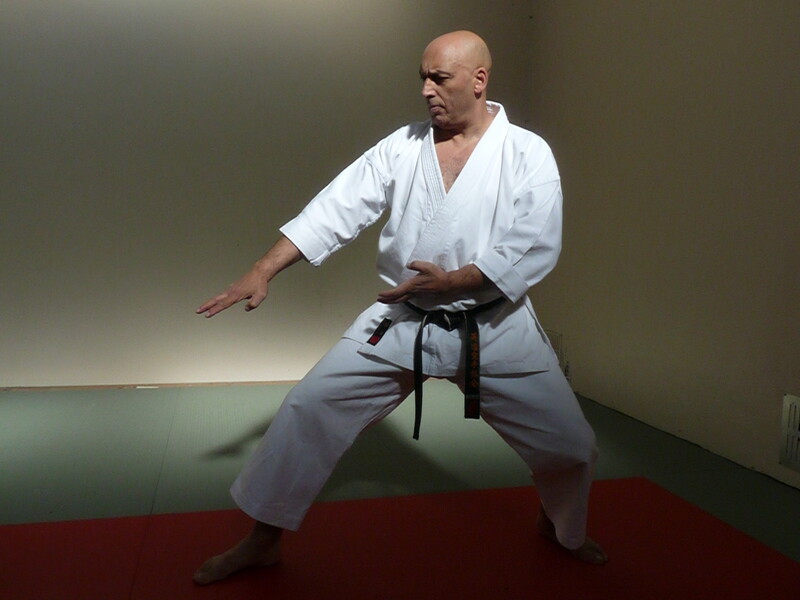 You could even mix and match Kata’s to suit you when used in Bunkai or kumite drills. If Kata Bunkai is prescriptive it may be useful to enhance your skill base and understanding, but will not necessarily be effective for real conflict or free combat. You have to feel able to use your techniques naturally, instinctively and freely. You should be confident they would be effective. Many moves and techniques in Kata if used as they are within the Kata would not work, they must be ” adapted ” to make them effective. Ultimately you must test your ideas robustly against a non-compliant opponent. This should be carried out in a controlled manner so as to prevent injury.